Thoughtful observational assessment is among the most powerful tools a teacher can use to better understand what their students have learned, and what they need. Observational assessment is most effective when it’s an ongoing practice. 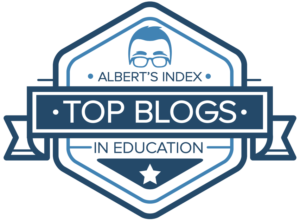 Not only can teachers use it to adapt and respond to student needs in real time, but ongoing observation can provide much more valuable data than traditional forms of assessment. Unfortunately collecting that data without losing the organic nature of observational assessment can be a real challenge. 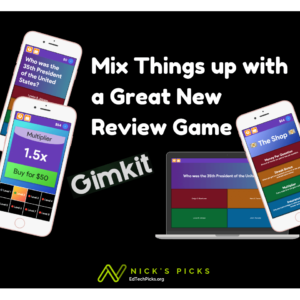 Teachers need a way to collect data that is quick, easy, and unobtrusive; they also need a quick and easy way to look for patterns and to make sense of each student’s data. None of the tools I had tried fulfilled all of these needs, but I recently attended a conference session by Monica Burns and realized the answer was much simpler than I thought. 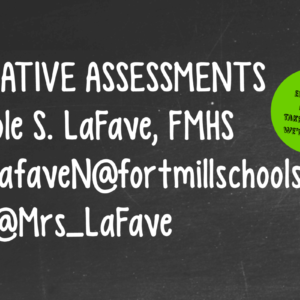 During her engaging session, she pointed out the power of using Google Forms to collect formative assessment data. 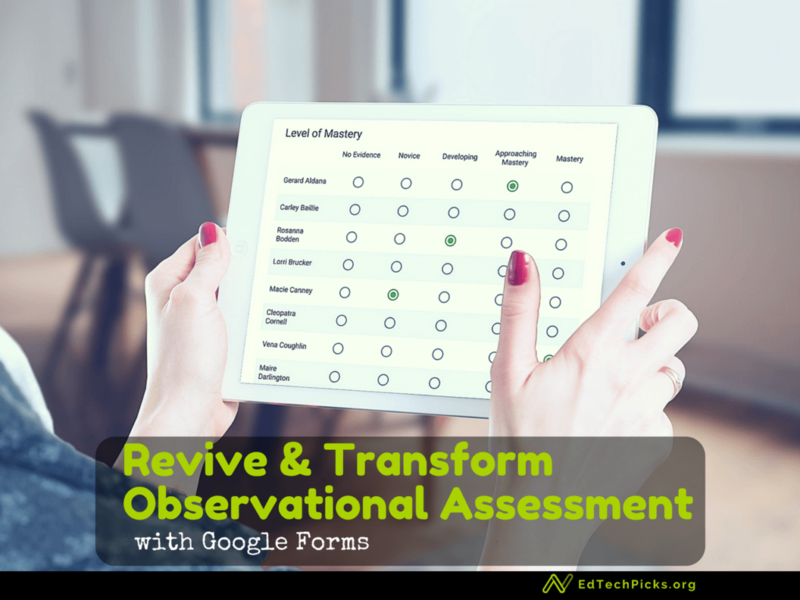 Using Google Forms, teachers can create custom checklists that allow them to quickly record observations for all students on one form. With a place to record the date and objective being observed, the form is reusable. Google Forms also conveniently organizes all observations in one place. 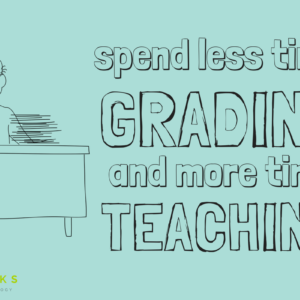 Teachers can collect data over as many days, and for as many objectives as they wish. Keep in mind that it’s not necessary to record an observation for every student every time. 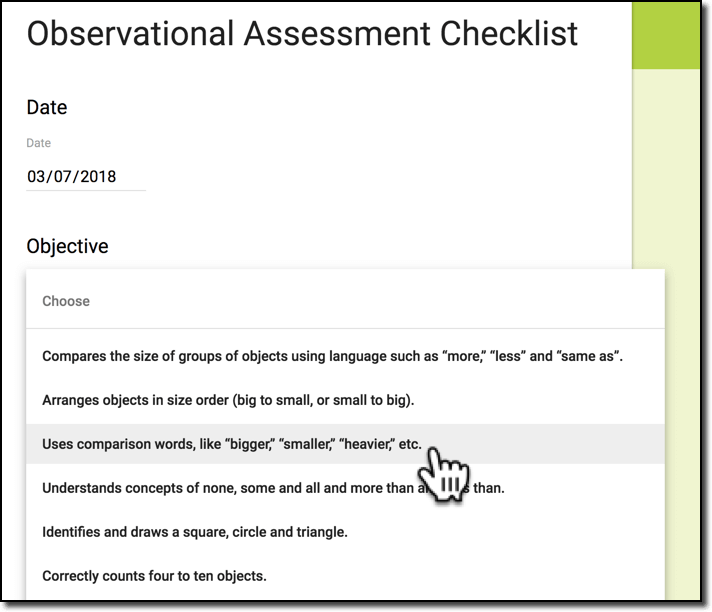 The steps below are intended to walk you through the steps of making a custom, observational assessment checklist using Google Forms. The details are intentionally vague to encourage you to create forms that fit your specific needs. I’ve also created a free, printable pdf cheat sheet that you can download. To make the form reusable, I suggest setting up the first two questions to ask for the date and objective. Use a “long text answer” if you wish to type the objective you are observing. 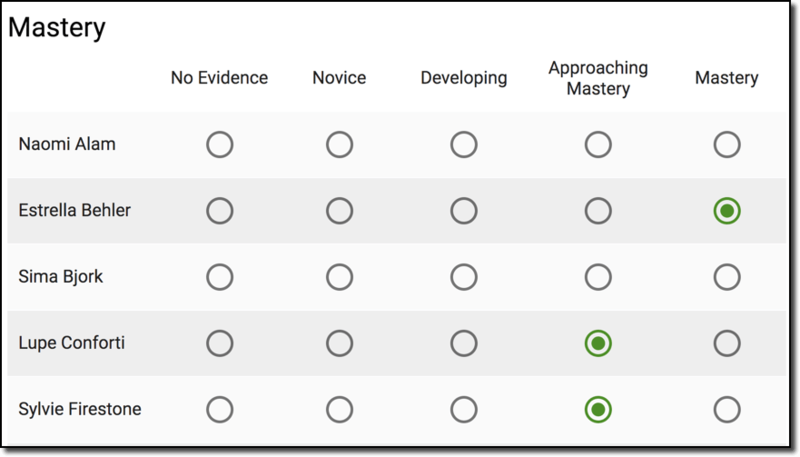 Alternatively, if you will be using this assessment tool to track progress across a series of standards, it might be more convenient to enter those standards by selecting them from a drop-down menu. Your checklist will consist of student names and checkboxes to indicate levels of mastery (or modified to your needs). To create a checklist, add a Multiple Choice Grid to your form. Copy and paste your students’ names as the rows. Enter your descriptors for levels of mastery for columns. I like to add a Long Answer Text question below the Checkbox Grid for adding any notes that can’t be recorded in the grid. After making some observations, it’s quite easy to review your data. Selecting the “Responses” tab in Google Forms allows the teacher to see a summary of all data collected. This can be helpful when looking for patterns (i.e. Naomi has been on “novice” for four observations). The real power for analyzing the data collected can be harnessed by choosing to “view responses in sheets.” Teachers can use sheets to sort and filter data in a variety of ways. The key to this type of form is in its simplicity. It’s easy to create more detailed forms, but I find that they are more difficult to use while teaching. 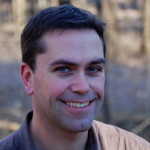 A more practical approach is to limit the amount of input required to use the form. Using a mobile device, like an iPad, tablet, or smartphone, further streamlines the process by allowing teachers to record observations while walking around with just a couple of taps. Download the free, printable PDF guide to making custom observational assessment checklists. Have any observational assessment tips? Share them in the comments below or on Twitter.